Love, influence and the quest for material riches and can drive a man to forfeit his spirit. 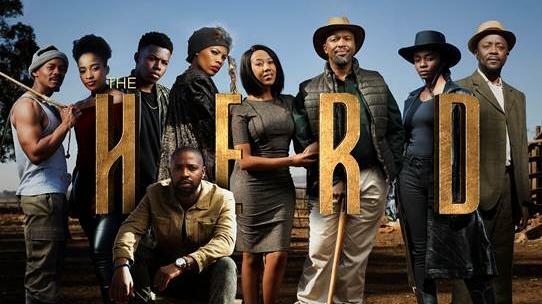 The Herd, another show with a baffling otherworldly storyline debut this Sunday, 8 July on Mzansi Magic (DStv Channel 161) and will explore the degree to which individuals will go to get their heart's wants. Twenty-eight years prior, Bhekisizwe Mthethwa (Sello Maake Ka Ncube) was fired from his activity at a butchery because of his leg damage. With no job and an eager spouse and child, Bheki searched out the direction of the nearby witch MaMngadi (Winnie Ntshaba), who guaranteed him a beautiful future on the off chance that he was ready to make an extraordinary forfeit. When we meet Bheki in the present, he's wedded to MaMngadi with three more kids, Muzi (Sparky Xulu), Nkosana (Paballo Mavundla) and Dumazile (Cindy Mahlangu). Before long, we understand that Bheki's enormous forfeit still weighs intensely on his spirit and when he picks the successor to his steers business, watchers get the opportunity to see a family at chances and kin in competition as they go into a fight over what each accepts to be legitimately theirs. joining the cast of this convincing series are the accompanying performing artists: Zethu Dhlomo playing the intense and skilled gunman, Lwandle; Sihle Ndaba as Bheki's prodigy, Kayise; Tiisetso Thoka as the Mthethwa's driving herder, Dingane and Peter Mashigo as the disturbed alcoholic, Magubane. “Sacrifice is at the heart of many human stories, particularly when looking at the family structure. It’s the man’s responsibility to take care of his loved ones and sometimes the pressure of supporting the family can drive a man to the edges of darkness. The Herd is essentially about that: the sacrifices we make for love,” said Director of Local Entertainment Channels at M-Net, Reneilwe Sema. What number of penances does it take to clutch what we love the most? Can good romance beat supernatural powers? Tune into Mzansi Magic (DStv Channel 161) on Sunday, 8 July at 20:00 to discover.